Guthrie has suffered a loss. When I say that I am not referring to the businesses that were lost or the contents of the buildings, grievous as those losses are, but to the deeper loss as a community. People who have never been in the Fiddle Shop or Furrows are, on a certain level, equally as devastated as those who were regulars, because what we are grieving isn’t the stuff, it’s the assault on our identity as a community. Whether someone ever comes downtown or not, we all realize the uniqueness of our town. 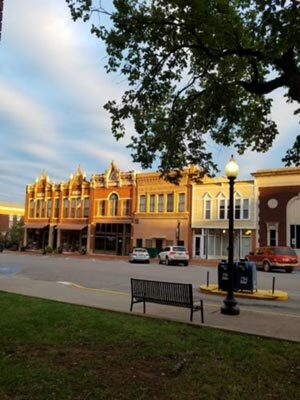 We place real value on the life of our historic business district. These 8-10 square blocks are the nucleus from which the character of the people who live here grows. As those buildings struggled to sustain themselves amidst the fury of the flames that were overtaking them, it was our struggle as well. We collectively prayed, wished, willed our body to be strengthened, to overcome the buffeting of the wind and flames and emerge victorious, but it appeared that the loss was to be, and we viscerally felt the horror of losing a part of our body. Our buildings stand as cultural and historic icons representing the determination, craftsmanship, and artistic fortitude of our forebears. They are a reminder that even as the dust was settling around them, our ancestors were dreaming of the beauty to be built here. The designation “Queen of the Prairie” was given to honor the idealistic glory that the first residents of Guthrie were intent on, and did create. Whether there will be a “healing” of the buildings or they will be sacrificed is yet to be determined, but what is assured is that the entire community will be affected. We will be stronger or we will suffer, but we will survive and must consider what the loss would mean if it were to have been larger. With our endurance must come wisdom. If our buildings go, who would we be?